Anytime you get to pull out the shiny rain boots... it's a good day. The cold weather demanded a coat, boots, AND a scarf so I'm just super cozy over here. 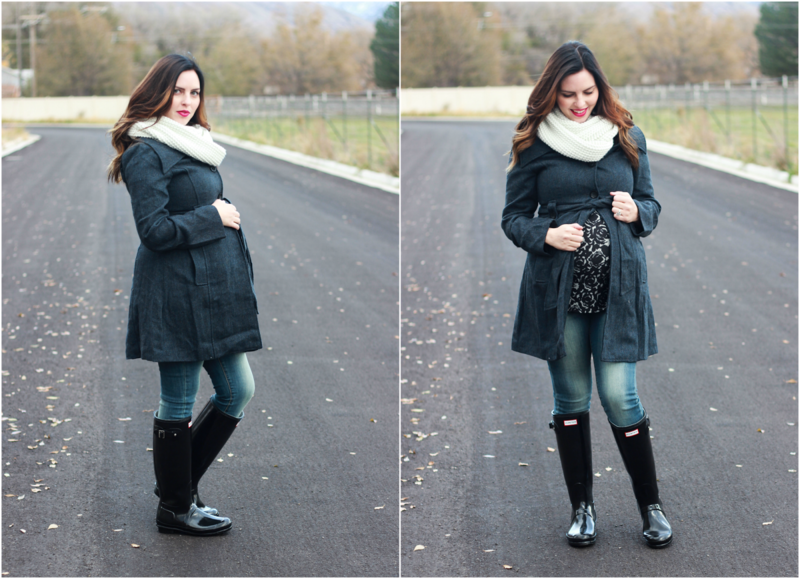 I finally got myself this maternity coat from Pink Blush and love it! Bring it on, snow. (But really don't because I could do without the snow this year). I also loooove this lipstick shade and recommend it if you're looking for a purple-y/magenta color (it's Mac Rebel). It looks good with a lot more than I thought it would. It's been on repeat the past week for sure. And a big P.S... if you're in the market for some Hunter boots, the non-glossy version of these ones are available at costco.com right now for $80! Find them here! you look great. I'm not look forward to the snow either this year. Love this! 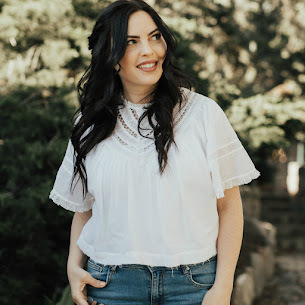 That floral shirt is so cute and I love those boots! I will have to buy that deal!